Planetauthorize makes integrating payment processing into your online store, retail store, restaurant, mobile platform or back office system quick and easy. All integration documents are available within your Planetauthorize payment gateway account. 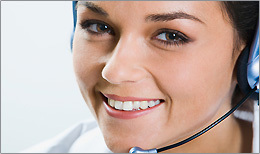 24/7 customer service is available to current merchant account holders at 1-888-655-1653. Capital Bankcard was established in 1998 and has become one of the largest, and most respected merchant account service providers in the country. Capital Bankcard can help businesses of all sizes find the right solution for their processing needs, but what we are most recognized for is our dedication to customer service. Capital Bankcard merchant accounts are offered directly by Planetauthorize. 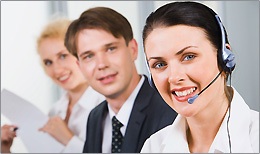 24/7 customer service is available to active merchant account holders at 1-888-888-4009. Merchant Focus is a full service Merchant Account provider, providing the ability to accept credit card payments for Internet, mobile, mail/phone order, and retail businesses. Merchant Focus is dedicated to providing the highest level of service in the industry. Merchant Focus merchant accounts are offered directly by Planetauthorize. Merchant Focus Provides merchant accounts to USA and Canadian merchants. Merchants can reduce their exposure to risk by using Planetauthorize's Integration API, Recurring Billing, Customer Vault, Merchant Defender™ or CertifyPCI™ service. Recurring Billing- enables merchants to manage the process of billing their customers on a periodic basis. Planetauthorize merchants have access to our online HelpDesk and Knowledgebase. Merchants can submit and track open support tickets and review ticket history. The Planetauthorize HelpDesk is available 24/7. Outsource your custom payment integration. Let a SaleManager Partner deliver your custom application development requirements. SaleManager supports Windows and Linux hosted solutions.